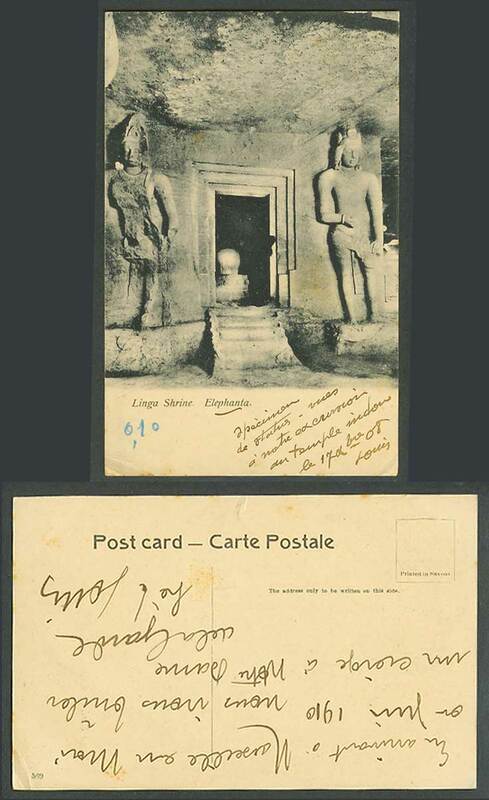 Vintage British Indian Old Postcard, India, Buddha Statues. Linga Shrine Elephanta Temple. 1910.